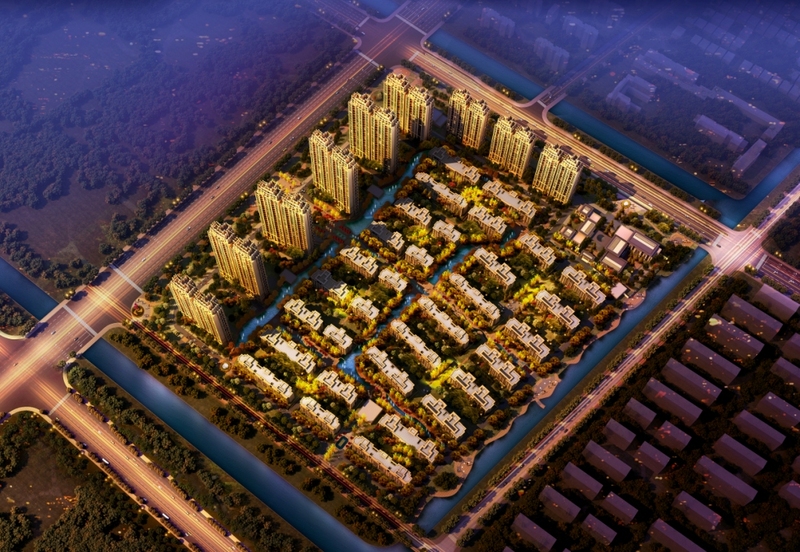 Overview：The plot is located in Taihu Lake New City section-- the core area of the future development of Suzhou, at the intersection of Songling Avenue and Ludang Road, with hundred-billion-level supporting facilities of Taihu Lake New City and great development potential in the future. So far the surrounding supporting facilities include Golden Lakeshore Project of nearly 30 billion investment (now under construction), Beijing Foreign Studies University Suzhou Bay Foreign Language School (currently enrollment, will open in September 2015), Sports Center, Ninth Peoples Hospital of Suzhou, etc. With the convenient transportation, the project can quickly achieve the seamless joint of the plot and main city of Suzhou, Shanghai and even Zhejiang, and moreover, currently rail transport Line 4 under construction is only two kilometers away from the plot.